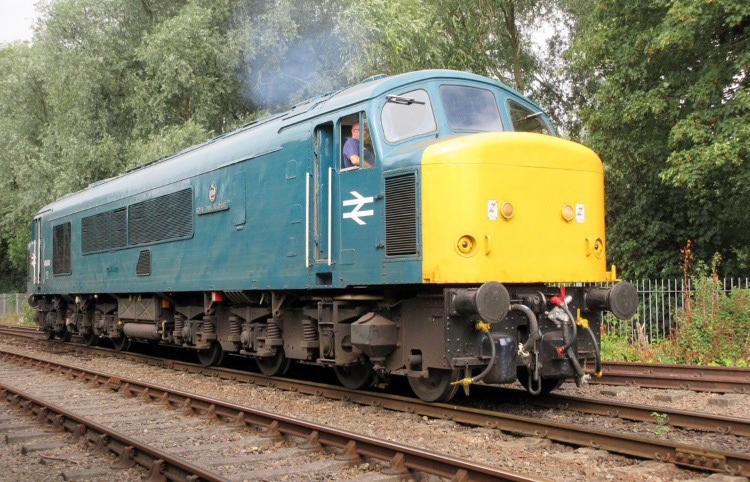 Our starter package includes theory and practical driving of diesel locomotive Peak Class. The course will be on a large locomotive without rolling stock and consists tuition and 2 hours on the footplate. During the time on the footplate, 2 participants will take it in turns to drive the locomotive for a total distance of approximately 15 miles. Participants are also provided with drinks and a meal, and a few souvenirs of their participation. Please note that our experiences are suitable for those aged 18 and above. * Prices shown are for NVR resident diesel engines. From time to time guest locomotives visit the NVR. When guest locomotives are available for driving experience days there may be a supplement payable to drive them. N B. Starter courses are normally run on days when we have no scheduled passenger service operating. Guests are welcome to join participants to watch, to take photographs and to join the participant for meals but they will not be able to ride on a train. We sometimes get booking cancellations close to operating dates. If you might be available at short notice and would like to participate please call our office, leave a telephone number where you can be contacted and we will get in touch if such a vacancy occurs.